The process for creating a room and inviting a friend begins at hubs.mozilla.com. Once there, participants generated a link to their private room and then copied and pasted that link into their existing communication apps, such as iMessage or e-mail. 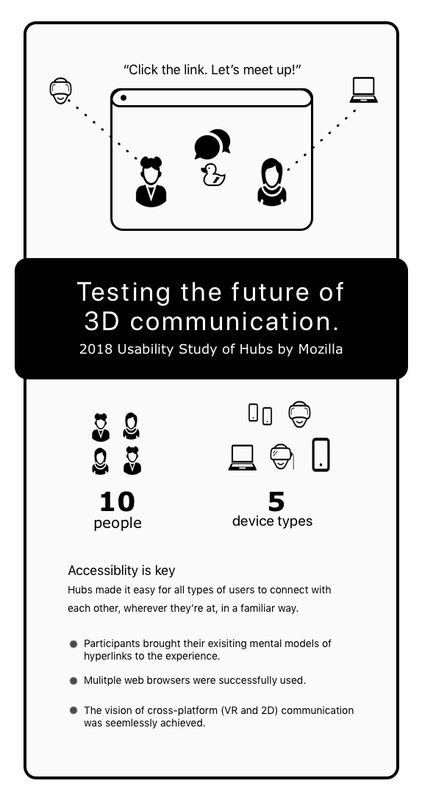 Now that you’ve got a sense of the capabilities of Hubs, the next blog posts will cover more specific findings of how people used it for conversation and how the environment shaped interections.